Children are like a sponge when it comes to absorbing knowledge and learning, and you can be sure that they are also pretty avid followers of their parents. If you were to wear a pair of headphones many a time you head out for your morning jog, or would like to tune in to your favorite music with some privacy, chances are your little ones, too, would like to enjoy a pair of headphones by themselves. Well, there are not too many kid-friendly headphones out there in the market, which is why Onanoff have kicked off their BuddyPhones, which is part of the “Color Your Music” series. The BuddyPhones happen to be kid-friendly headphones that will sport new customizable color-in sticker packs. 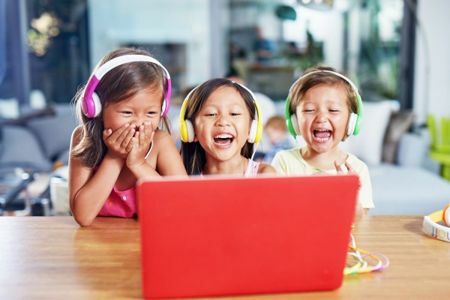 In other words, the kids themselves will get to choose just how they would like to design their headphones and color directly onto the stickers using a set of crayons or markers, before sticking them on the BuddyPhones for a fresh and unique look. Not only that, in order to ensure that your children will still grow up listening to you – not because they are obedient, but because their hearing is preserved, the “Color Your Music” series sports BuddyPhones will come with volume-limiting technology that is perfect for safe listening, in addition to a bendable and flexible headband and a BuddyCable audio splitter so that up to four friends are able to listen to one device at the same time. The base colors which one can pick from will include Yellow, Blue, Pink, Purple, Green and Orange. The “Color Your Music” series would be the perfect foil when it comes to helping your kids unleash their creativity as they draw, stick and play. Not only that, the included BuddyCable will give assurance to the little ones that they do not need to fight over time with the iPad, and the asking price of $24.99 a pop is definitely something that is extremely affordable for all of your budding artists or musicians.